ROE (Row), WALTER, lawyer and office holder; b. c. 1760 in London, England; m. 1 March 1790 Ann Laughton of Detroit, Mich., and they had four children; d. 7 Aug. 1801 in Upper Canada. 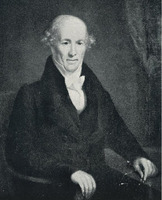 Walter Roe was one of the first lawyers to practise in Upper Canada. Apparently an only child, he left home after the death of his father, “a man of some means,” and the subsequent remarriage of his mother. Joining the Royal Navy in 1779, he served for the duration of the American Revolutionary War and attained the rank of warrant officer before taking up residence in Montreal in the mid 1780s. Evidently well educated, he had greatly impressed his commanding officer during the war, and upon leaving the navy he had been persuaded by the same officer to begin the study of law. After receiving his early legal training in Montreal, he was admitted to the practice of law in the province of Quebec on 13 April 1789. During his stay in Montreal, Roe undoubtedly came into contact with William Dummer Powell*, then one of the most prominent lawyers in the city, and Powell’s patronage and influence may have been useful in launching Roe’s legal career. Certainly, it was not long before the careers of the two men became intertwined. In 1788 Governor Lord Dorchester [Guy Carleton] had appointed Alexander McKee*, Jacques Baby*, dit Dupéront, and William Robertson judges of the Court of Common Pleas in the newly formed District of Hesse, the most westerly section of what was soon to become the colony of Upper Canada. Baby and Robertson resigned almost immediately, however, claiming that their business activities would prevent them from exercising judicial impartiality. At this point all three appointments were revoked and Powell was made the sole judge of the district. The position of court clerk went to the young Roe. Roe’s arrival on the western frontier coincided with the establishment of civil authority in the region. Following the British conquest, the 1,500 inhabitants residing along both sides of the Detroit River had been under military rule. This situation seemed about to change with the passage of the Quebec Act of 1774, but the American revolution postponed the creation of the civil and legal institutions planned for the interior.Only in 1788 was the territory west of the Ottawa River organized into four governmental districts, with the Detroit frontier included in the District of Hesse. Under the proclamation of 1788, the boundaries of Hesse were purposefully left vague so as to encompass the area south of the Great Lakes, an area officially ceded to the United States in 1783 but still occupied by British troops. Given its tenuous claim to the American side of the boundary, Britain was reluctant to include it too formally within an administrative district. Even so, colonial officials were aware that since Detroit was the centre of the fur trade south of the lakes, some institutional authority was required. As a result, although the Court of Common Pleas created in 1788 held its sessions on the Canadian shore, it also had jurisdiction at both Detroit and Michilimackinac (Mackinac Island, Mich.). As for Roe, he may have been in the west earlier, perhaps while still in military service, for his name appears on a list of loyalists and disbanded troops granted land on the north shore of Lake Erie in 1787. However, he never occupied his Lake Erie grant, residing instead at Detroit, the most important settlement in the region. Within a short time after his arrival there in 1789, Roe found his legal services in constant demand. Besides his official duties as court clerk, he built up a thriving legal practice, including among his clients such prominent people as William Hands, Sarah Ainse*, John Askin, and Angus Mackintosh*. A large part of his business involved collecting debts, certifying land transfers, and attending to the estates of deceased or absentee merchants. 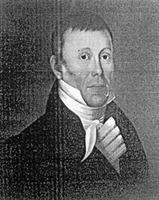 During the early 1790s the Montreal merchants Isaac Todd and James McGill gave Roe the job of watching over their land and other interests in western Upper Canada, and also recommended him to William Robertson, then absent in England, as the best person to handle his substantial property holdings. 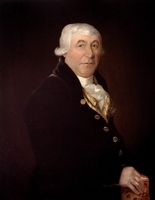 Unfortunately, there soon developed considerable criticism of Roe’s lack of diligence in meeting his responsibilities, and it is clear that by the mid 1790s his career had begun to decline. Roe’s professional difficulties, however, were not entirely the result of personal failings; they were also due partly to the fact that he was no longer the only lawyer in the area, and partly to changes in the administration of justice. Having been trained in French law, Roe was at a distinct disadvantage after the passage of the Constitutional Act of 1791, which provided for the introduction of English law and the creation of a new court system. Always interested in real estate, he now renewed his efforts to accumulate land, no doubt to compensate for his dwindling professional income. Claiming 2,000 acres from the government, he was eventually allotted more than 1,400 acres near York (Toronto), but several years elapsed before the titles were secured and he never cultivated the land. In 1794 Roe was made a clerk of the peace for the Western District, having been recommended by Attorney General John White* and James Baby*, a member of the Executive and Legislative councils. He was given the rather dubious distinction of surrendering the keys to the fort at Detroit when in 1796 the British evacuated the posts held south of the Great Lakes, and afterwards he and his family joined a number of British subjects who moved across the river to the recently established town of Sandwich (Windsor). In 1797 he was selected as one of the original six benchers, or governors, of the Law Society of Upper Canada, but there is no evidence that he attended any of the meetings. As deputy registrar of the Western District, a post to which he was appointed by Lieutenant Governor Simcoe in 1796, Roe was required to travel quite regularly the 17 miles from his home in Sandwich to Amherstburg, Britain’s new military entrepôt for the Detroit frontier. These trips were both irksome and difficult, and in 1800 Roe, acting in his capacity as clerk of the peace, forwarded to the Executive Council a petition from the grand jury of Sandwich stressing the need for better transportation facilities along the route. Roe was to drown on one of these same trips to Amherstburg. According to John Askin, on 7 August “poor Mr. Rowe was found suffocated where there was very little water.” There was some suggestion that Roe had become an alcoholic and had fallen off his horse while intoxicated. AO, MU 2438–41. DPL, Burton Hist. Coll., Walter Roe papers (photocopies). PAC, RG 1, L3, 422A: R1/9, 25; 424: R3/76. Corr. of Hon. Peter Russell (Cruikshank and Hunter), vols.l–2. Corr. of Lieut. Governor Simcoe (Cruikshank). “Grants of crown lands in U. C.,” AO Report, 1929: 135, 170. John Askin papers (Quaife), vol.2. “U.C. land book B,” AO Report, 1930: 5, 80–81. “U.C. land book C,” AO Report, 1930: 145. “Upper Canada, District of Hesse; record of the Court of Common Pleas, L’Assomption, 1789,” AO Report, 1917: 23–177. Windsor border region (Lajeunesse). H. P. Beers, The French & British in the old northwest: a bibliographical guide to archive and manuscript sources (Detroit, 1964). The city of Detroit, Michigan, 1701–1922, ed. C. M. Burton et al. (5v., Detroit and Chicago, 1922). C. M. Burton, History of Detroit, 1780 to 1850, financial and commercial . . . (Detroit, 1917). W. R. Riddell, Legal profession in U. C.; Life of William Dummer Powell; Old province tales, Upper Canada (Toronto, 1920). N. V. Russell, The British régime in Michigan and the old northwest, 1760–1796 (Northfield, Minn., 1939). W. R. Riddell, “Criminal courts and law in early (Upper) Canada,” OH, 22 (1925): 210–21; “Practice of Court of Common Pleas of the District of Hesse,” RSC Trans., 3rd ser., 7 (1913), sect.ii: 43–56. D. R. Farrell, “ROE, WALTER,” in Dictionary of Canadian Biography, vol. 5, University of Toronto/Université Laval, 2003–, accessed April 19, 2019, http://www.biographi.ca/en/bio/roe_walter_5E.html.